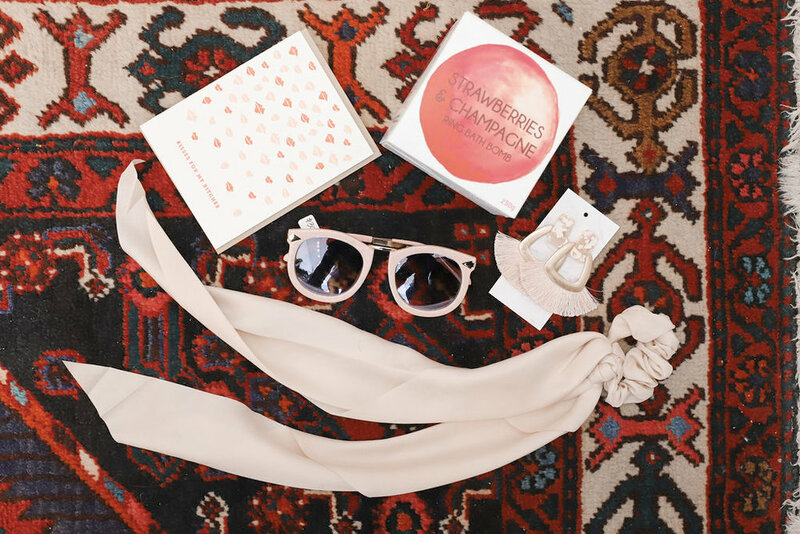 Blogger extraordinaire and brilliant gift-giver Annie Austen put together a gift guide for every Valentine in your life– from your guy or gal to your galentine, she’s got every personality covered. Give a guy whiskey and a dad cap and he can conquer the world. Is that how the phrase goes? 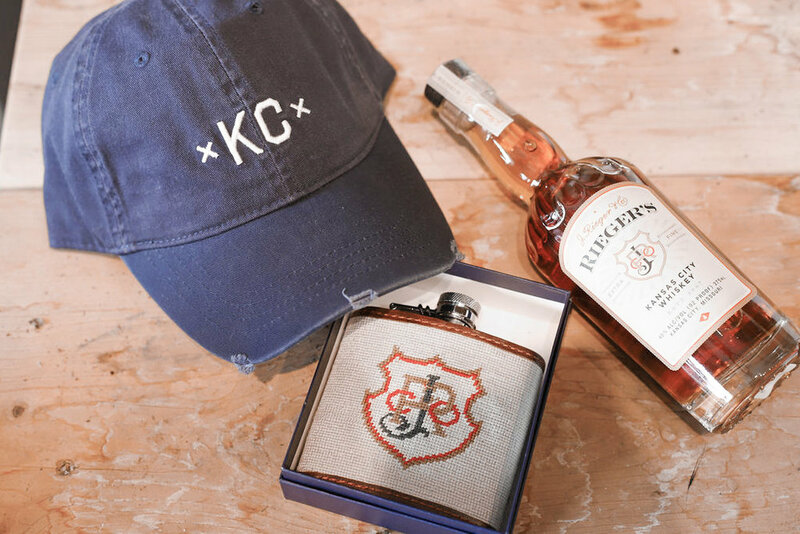 Maybe not- but with this super cool Made Urban Apparel cap, J. Rieger Whiskey, and a flask (all can be found at Made in KC Marketplace at 306 W 47th St)- I bet he’ll try! 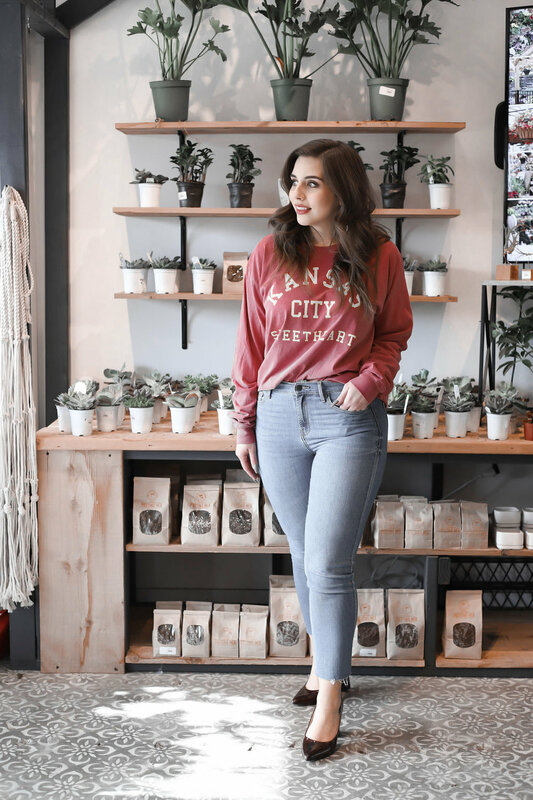 Perfect for the KC Sweetheart in your life, this 1KC long sleeve tee from Made in KC Marketplace is great for a cozy night in or a casual day out and about! It’s so super soft and reminds me of that favorite go-to tee everyone has in their wardrobe. Shopping for a Valentine with a discerning palette? Christopher Elbow’s Signature Valentine’s Collection and these pieces from The Object Enthusiast (both located inside of Made in KC Marketplace) are sure to please! You can even up the gift ante by including a special trinket with the trinket dish too! Looking for a more intimate option for that special someone? MADI Apparel (available at Made in KC Marketplace) has lots of beautiful pieces to choose from and, by shopping their brand, you’re also supporting women in need. There’s absolutely nothing wrong with an evening in even on Valentine’s Day! 5B&Co. Candlemakers (6231 Brookside Plaza) has the perfect assortment of candles that will take a cozy date night to the next level. Get a girl a new purse, a fierce pair of heels, and some chic earrings and she’ll be ready to take on the world! How fun are these pieces from Ladybye? (6245 Brookside Plaza) It’s the perfect bundle to prep for a Valentine’s night out on the town! Help your Valentine live their best moisturized life with Skin KC! (6247 Brookside Plaza) With specialized products and natural ingredients this bundle will promote glow from head to toe. What better place to shop for your Galentine than the feminist-fueled Coco Brookside? (112 W 63rd St) With all the best accessories, self-care items, and super clever greeting cards you’ll be able to find the perfect something for any lady on your list!